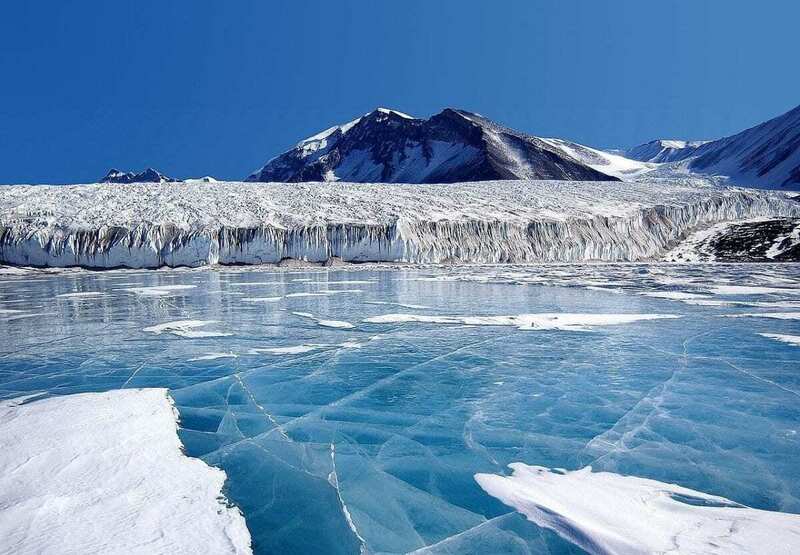 University of California scientists think they know why Earth’s generally warm and balmy climate over the past billion years has occasionally been interrupted by cold snaps that enshroud the poles with ice and occasionally turn the planet into a snowball. The key trigger, they say, is mountain formation in the tropics as continental land masses collide with volcanic island arcs, such as the Aleutian Islands chain in Alaska. Earth’s climate is, to a large degree, driven by the amount of carbon dioxide in the atmosphere, which traps heat and warms the planet. While fossil fuel burning since the Industrial Revolution has driven CO2 levels to heights not seen in 3 million years, CO2 levels have been even higher in Earth’s past, coinciding with warm periods when no major ice sheets existed. In fact, Earth’s default climate seems to be warm and balmy. Periods with no glaciers dominated for three-quarters of the past 1 billion years. Yet, half a dozen ice ages chilled Earth during that time, two of them severe enough to turn the planet into a Snowball Earth with ice covering much of the surface. What caused these frigid interludes? In a study appearing in this week’s edition of the journal Science, the team concludes that when volcanic arcs collide with continents in the tropics — an inevitable consequence of the planet’s constantly moving tectonic plates — they trigger global cooling, resulting in a glacial climate with extensive ice caps. Such a collision is going on now as parts of the Indonesian archipelago are pushed upward into mountains on the northern margin of Australia. The result is that there are mountains containing rocks known as ophiolites that have a high capacity to remove carbon from the atmosphere. Over geologic time periods, there is a balancing act between the CO2 emitted from volcanoes and CO2 consumed through chemical reactions with rocks. Rocks with abundant calcium and magnesium, such as ophiolites, are the most efficient at consuming CO2. When these elements are liberated from rocks, they combine with CO2 and make their way to the ocean, where they form limestone, locking CO2 into rock, where it remains for millions of years. Unfortunately for Earth’s future, the geologic processes that consume CO2 are slow and unable to contend with the massive CO2 emissions that result from the burning of oil, coal and natural gas. Over millennia, Earth’s natural carbon sequestration program will restore balance, Swanson-Hysell said, but this will be a long wait for modern civilization, which has been so successful in Earth’s current, cooler climate. In 2017, Swanson-Hysell and Macdonald proposed that a major ice age 445 million years ago was triggered by a collision similar to that occurring today in Indonesia. That collision took place during the first phase of Appalachian mountain-building, when the present-day eastern U.S. was located in the tropics. In the warm and wet tropics, the weathering reactions that ultimately sequester carbon are even more efficient, which resulted in less CO2 in the atmosphere and a cooler planet for millions of years. The UC researchers’ work built on a similar proposal by Macdonald and Oliver Jagoutz of MIT that such processes were important for cooling over the past 90 million years. The new study strengthens the link between such tropical collisions and global climate and was conducted by Swanson-Hysell, Macdonald and Jagoutz, along with UC Berkeley graduate student Yuem Park and Lorraine Lisiecki of UC Santa Barbara. In the current research, the Berkeley/Santa Barbara/MIT team used state-of-the-art models of Earth’s paleogeography to reconstruct the position of such mountain-building events over the last half-billion years. They found that all three major ice ages over this time had been preceded by volcanic arc-continent collisions in the tropics, and that no collisions outside the tropics triggered an ice age. “While we thought this process was important, the relationship between such environments in the tropics and glacial climate was clearer than we expected,” said Swanson-Hysell. The team’s theory also explains why ice ages come to an end. As such collisions grind to a halt and less rock is exposed, or as the rocks drift out of the tropical rain belt, carbon sequestration becomes less efficient, CO2 levels rise as volcanic outgassing continues and Earth once again warms into a non-glacial climate.